On our trip back home we were fortunate enough to have the opportunity to have sweet Patrick Wallace baptized in Oak Ridge. 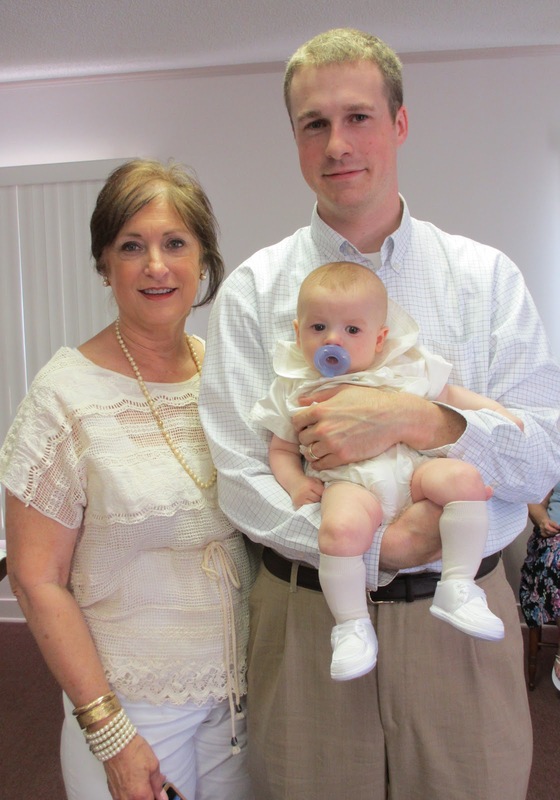 Because we were here in Budapest for all the time leading up to the Christening, Great Grandma, Irene McLendon, and Mama Kate graciously planned everything for the ceremony and the reception. Everything was beautiful and it was a very sweet occasion. Our sweet boy was sick for several days and felt pretty miserable the day of. He was so tough, though and we were so proud and happy to have him baptized in the same church where Daddy and Claudia were baptized. Here's some pictures from the special day. We kept the paci in for the majority of the day. He was getting over a cold and cutting his first tooth. Definitely a paci day. We were so excited to see our family in Louisiana and were especially grateful to see Aunt Ginger and Cousin Lilly who drove in from Memphis, Aunt Kelly and Cousin Jackson who drove in from Jackson. The magic of childhood... munching on a stack of three chocolate chip cookies at once! Probably one of my favorite pictures of the day. Family pic... minus Claudia... she wasn't really up for taking pictures that day. My sweet boy was really feeling puny. It was tough to hand him over for the ceremony, but, all things considered, he did so well. My favorite picture... four generations of McLendons. 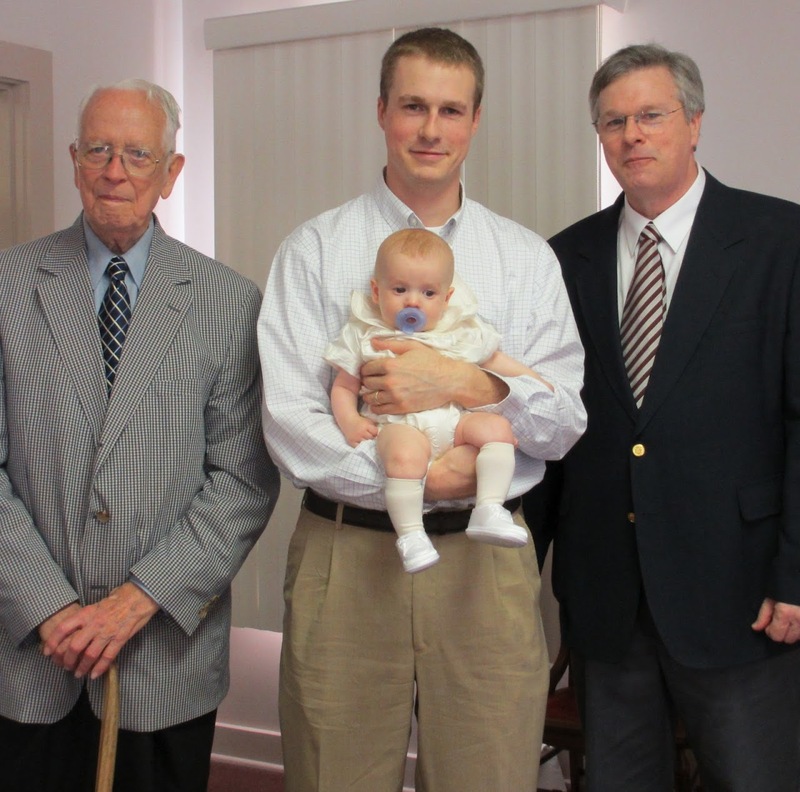 Gerald Dufur McLendon (Great Grandad), Gerald Wallace McLendon (Paps), Russell Wallace McLendon (Daddy) and little Patrick Wallace McLendon. It was a special day for our family and we are so proud of our baby boy. 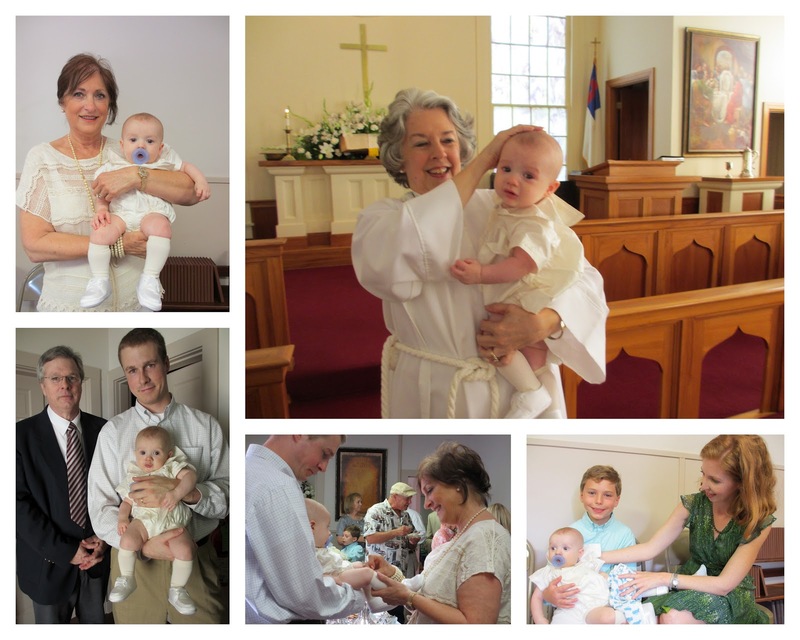 We are grateful to our family who planned such a lovely Christening and reception. We can't wait to bring our little famly back for Christmas. Beautiful dress Meryl! 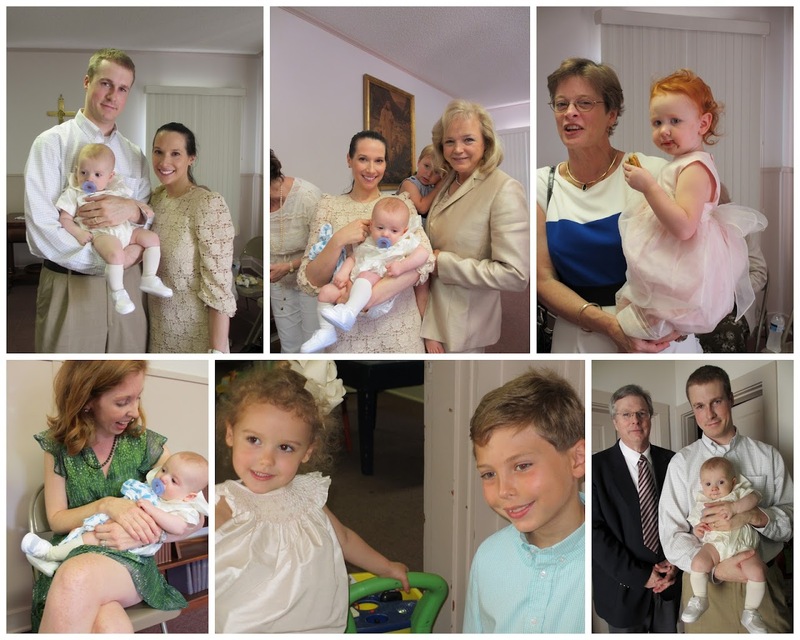 And what beautiful family photos from the christening! so sweet! Glad you had such great time with your family.